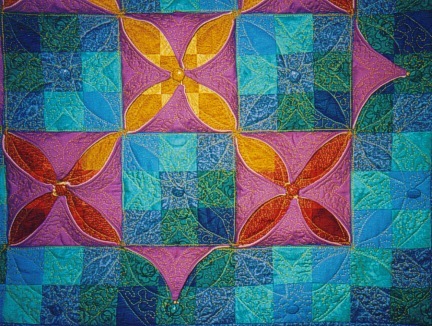 Buttoned so that only purple sides of triangles show. 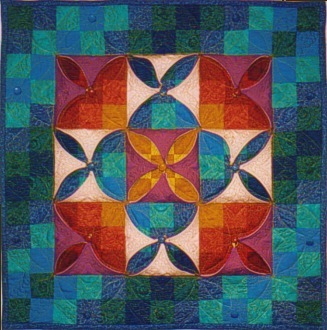 All triangles are buttoned towards the center. 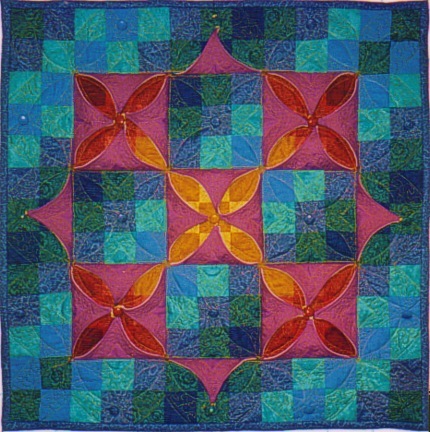 All triangles buttoned out towards the edges. 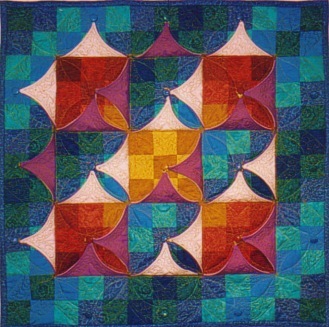 Triangles buttoned so that they form a diagonal pattern. 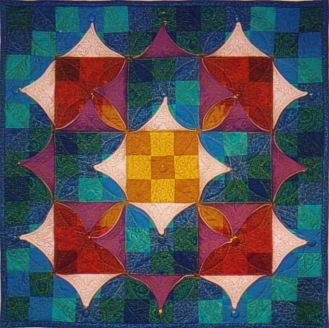 Since this quilt has only 9 blocks and consequently 24 triangles, the possible variations are not so many as with the "Night and Day" quilt. However, there are as many as 16777216 possible variations, so you can still be able to play for a while. 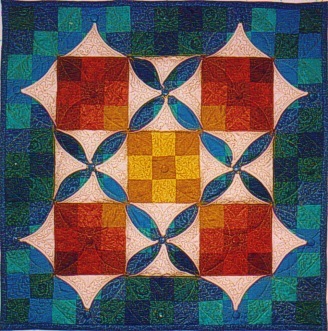 There is now a pattern for this quilt.